We responded to the public consultation on this at the end of last year and we know others did as well. 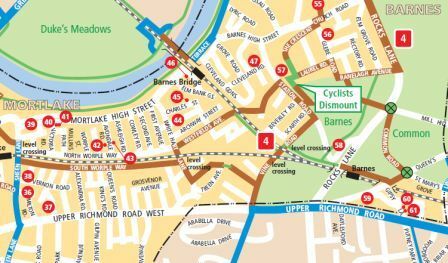 We highlighted that the lane, at 1.3m, did not meet the London Cycle Design Standards which state the minimum should be 1.5m, preferably 2m and that it did nothing to deal with challenges of crossing Richmond Bridge – You can read our submission to the consultation here. asking the police to work on the problem of bike theft. No one of these activities is more important than another which is why we supported Sky Ride Local this year, funded by the Council in partnership with British Cycling [click here for their review of the 2011 programme] and why we wouldn’t argue with Councillor Harborne, our Borough Cycling Champion, about the value of “promoting an exciting programme of events to get more people cycling, more often, safely and for fun”. There are already 46 20 mph zones in the borough and large parts of the rest of the borough where there is no record of any accidents at all, ever. We are the 3rd safest LB out of 33. Obviously we should be the safest, but that’s a work in progress. 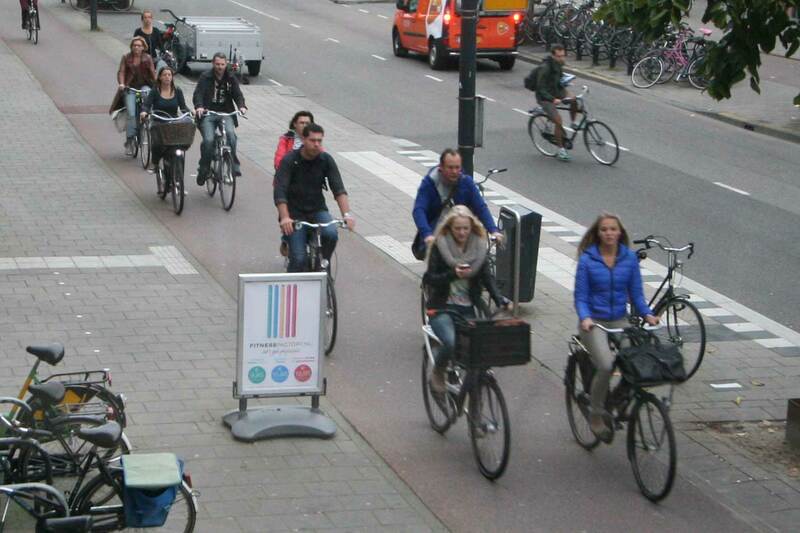 Sometimes campaigning to improve safety is counter productive. It puts potential new cyclist off. Is that what you want to do? Particularly when the fear of accidents is not backed up by statistics. Don’t you think? As a campaigning group we constantly wrestle with the problem of unintentionally discouraging people from cycling but it’s our view that people make informed decisions about risk when they know the facts, hence our concern about these four clusters. I am very happy to publicise the fact we are the 3rd safest Borough in London if you tell me the meaning of “safe” and the statistical source. Do you have a list of the 46 zones in the Borough and do you know how this compares with other Boroughs, say the neighbouring Boroughs of Hounslow and Kingston with whom we share our Assembly Member? It’s been suggested Richmond has the 2nd lowest number of zones in the country, do you know if that’s the case? We haven’t received a reply to date. 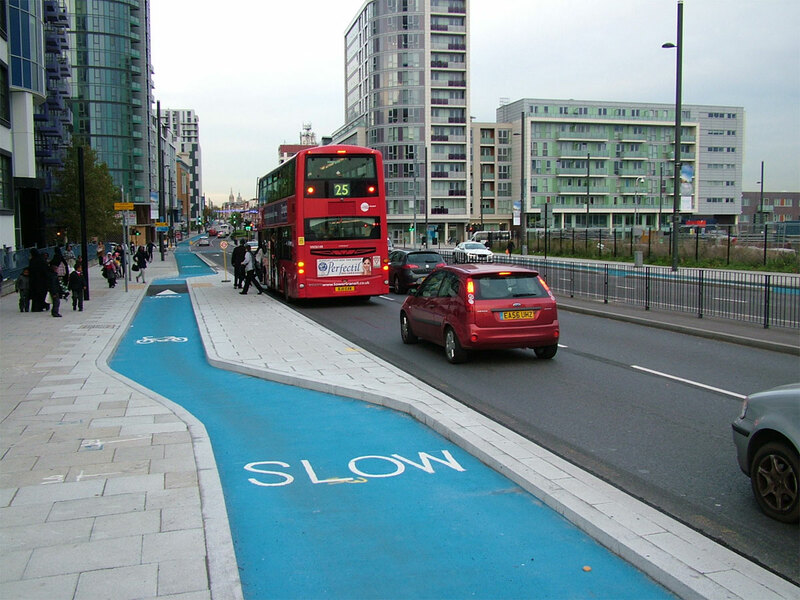 Early in the New Year LCC will launch “Go Dutch – clear space for cycling on London’s main roads” the single issue campaign to accompany the London Assembly elections. 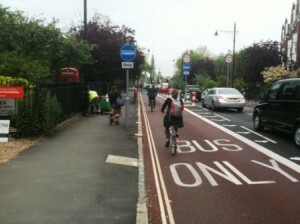 It’s about safe and convenient cycle journeys not least because of the cyclist fatalties in London this year. The campaign aims to get 100,000 signatures on a petition and 10,000 cyclists on the road to persuade the candidates for the London Assembly that this important, not just for cyclists, but for everyone who want to improve the quality of life in London, who want people-friendly streets. Which is what we want in our Borough. We want Richmond, Teddington and Twickenham town centres to be people-friendly, which is not how you could describe them now. Was it coincidence that last week’s Richmond and Twickenham Times had “High street havoc” on the front page and Tim Lennon’s excellent letter “Deal with this congestion” inside? Which is why we’ll go on commenting about the effect of planned highway engineering schemes even though we have to search for them and even though we were told in September we can’t go to the Transport Management Liaison Group. 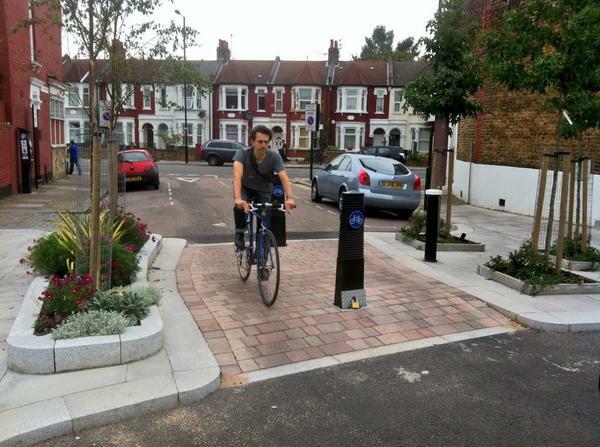 And thank you to all the Veloteers who replied to our request for comments on these schemes. Which is why we’ll go on asking the Council what they’re doing for people who cycle even though few, if any, of our Manifesto requests at the 2010 local government elections have been realised. Which is why we’ll keep going to the Cycling Liaison Group and ask the Council questions about cycling in the Borough. Hanworth Road Whitton, Stanley Road Teddington and Terrace Yard Petersham. 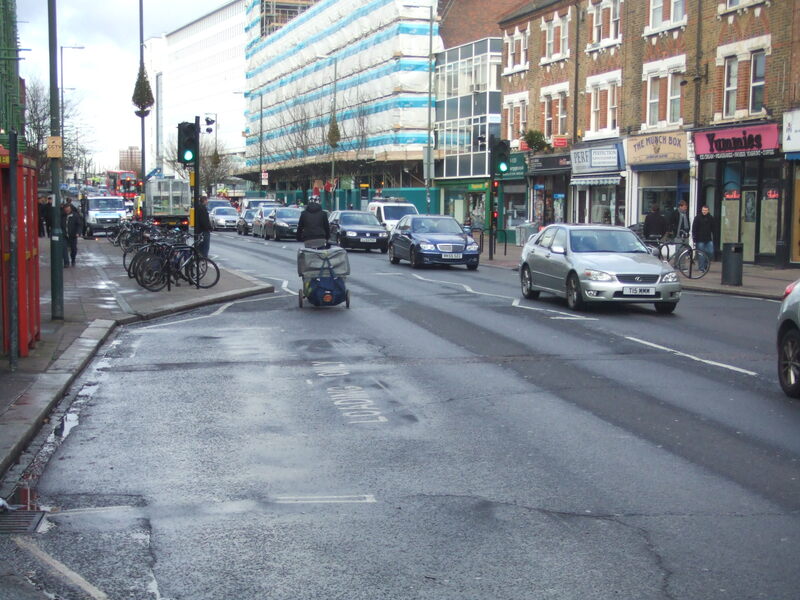 It’s worth noting we have been consulted about a proposed Advisory Cycle Lane in Richmond Road, East Twickenham, but this may be the result of a long-standing working relationship with the Highway Engineer: click here to read our response. “3.2 The new layout of the development and the new crossover access to the site has impacted on the existing pelican crossing. To ensure that the crossing is safe for pedestrians it is essential that the crossing is relocated away from the vehicle crossover. 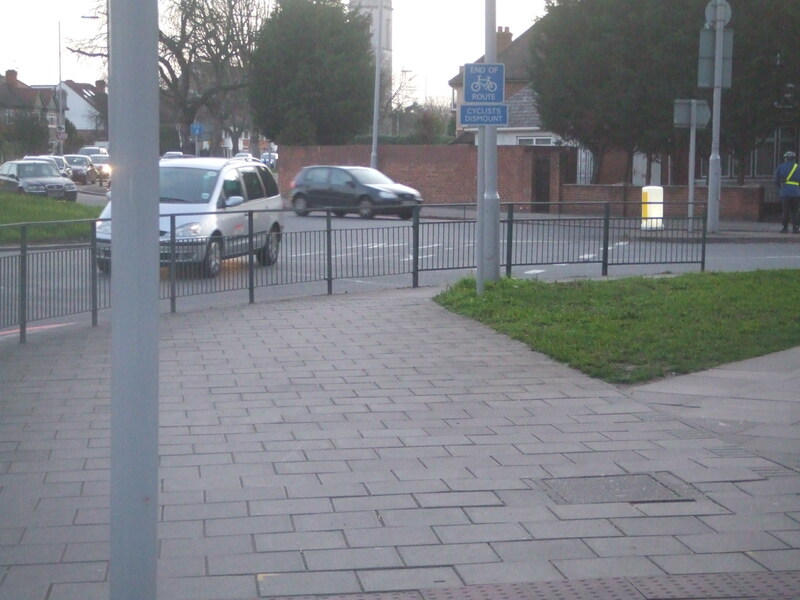 Associated footway and surfacing works are considered necessary to ensure that the approaches to the relocated crossing are to an appropriate standard. 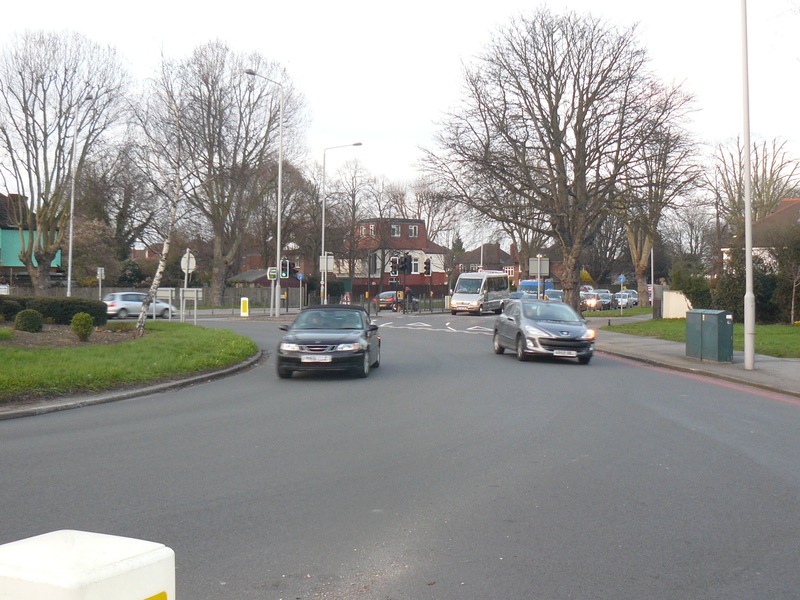 “3.2 Residents have reported ongoing issues with vehicles parking on the zig-zag markings on the approaches to the Stanley Road Zebra Crossing and illegal manoeuvres associated with the one way restrictions at the junction of Fulwell Road/Stanley Road. The development site is opposite the junction of Fulwell Road/Stanley Road and just north of the Stanley Road Zebra Crossing. 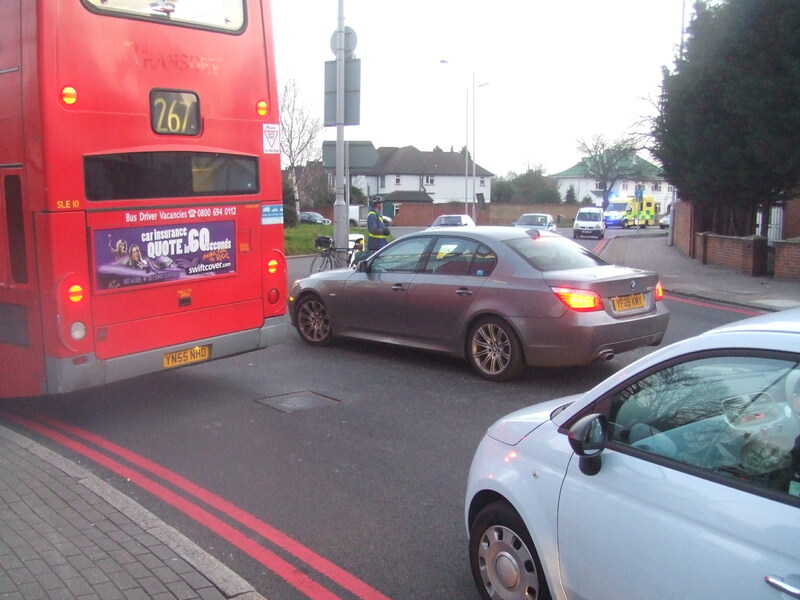 “3.2 The junction of Hanworth Road/Powder Mill Lane has a history of Personal Injury Collisions. 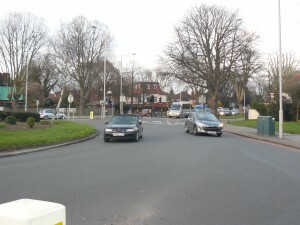 The junction is currently controlled with a mini-roundabout and has a Puffin Crossing in close proximity to the mini-roundabout. E-mail: campaign@richmondlcc.co.uk if you know any of these locations and think there’s an opportunity to make things more safe and more convenient for people who cycle, or you think that what’s proposed could make it unsafe and inconvenient. We’re moving fast towards the end of the campaigning year with RCC’s annual meeting on Monday 14th November and LCC AGM on 16th, so we’ve been thinking about doing things next year, with the London Assembly elections on 3rd May and the associated LCC 2012 campaign “Go Dutch“. 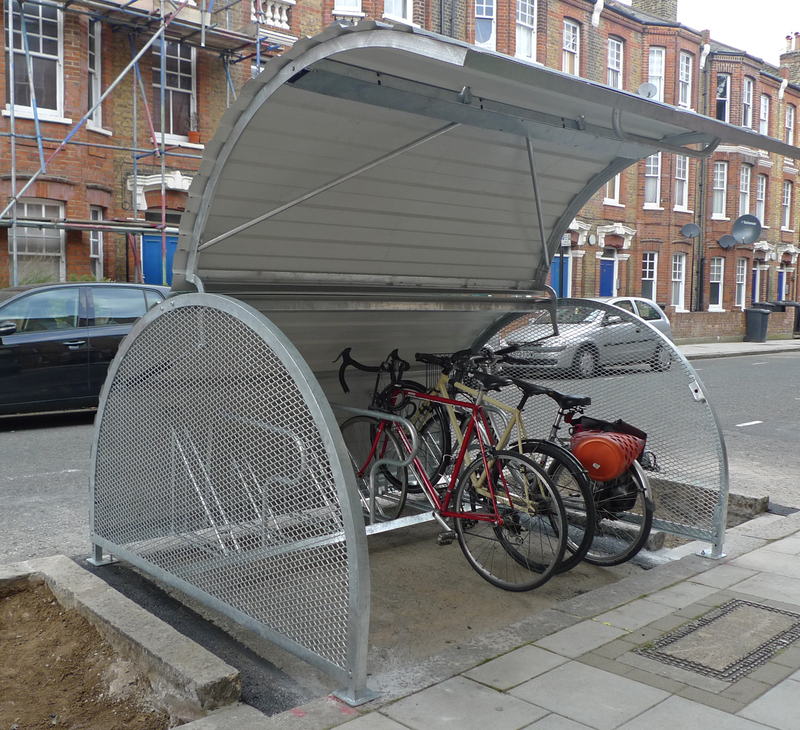 We think we can strengthen what we already do by continuing to develop the veloteer idea used so effectively for the railway station cycle parking audits and the reports on Hammersmith Bridge and London Road roundabout. Why do we think that? 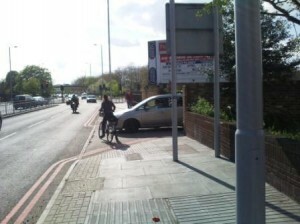 Because as a local cyclist you know the routes, what works and what doesn’t. You know the problems and because you know the problems you’re likely to know how to solve them. So you’ll know whether the works proposed by the Council, and TfL, will actually make your cycle journey better, or worse, or make no difference at all. Living locally means you can use your democratic right to ask your local councillor what’s going on. And because the Council’s highway officers have a geographic responsiblity we can develop a working relationship at a practical level. We also think the A316 Cycle Route should be have its own veloteers because it runs through so many of the patches and is such an important route. 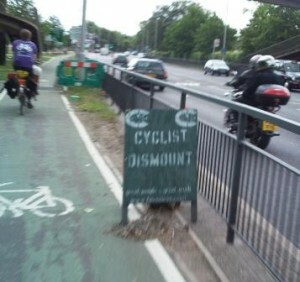 E-mail: campaign@richmondlcc.co.uk to make a difference to cycling in Richmond Borough, we know many of you already do. Forget, for a moment, the relevance of the widest point on an island that’s a tear drop shape and is not designed to be crossed at its widest point anyway: much, much, more important is how do you get on it when traffic is nose to tail and moving at different speeds? And how do you get off it when vehicles are accelerating into the exit lanes like it’s a race track? 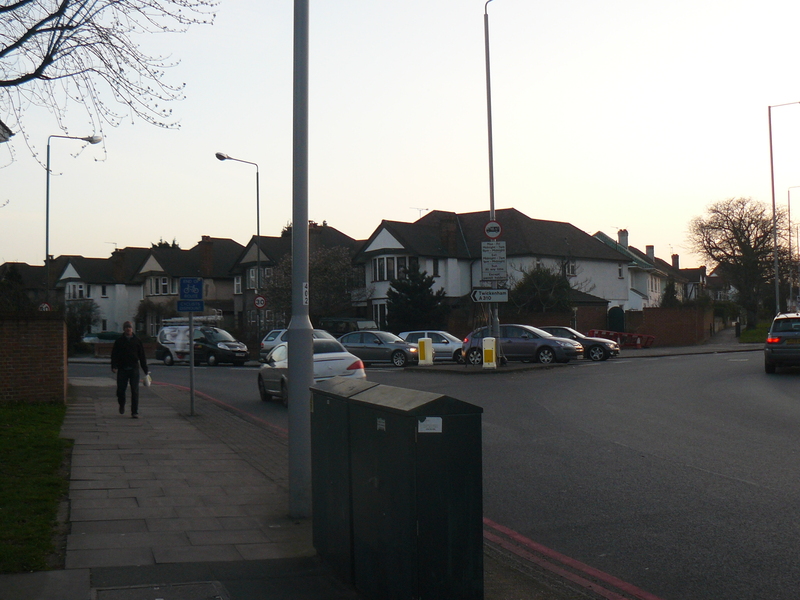 Why can’t TfL install toucan crossings, like the all junctions before and after London Road and like the one that is so well-used on the Richmond side of the roundabout ? 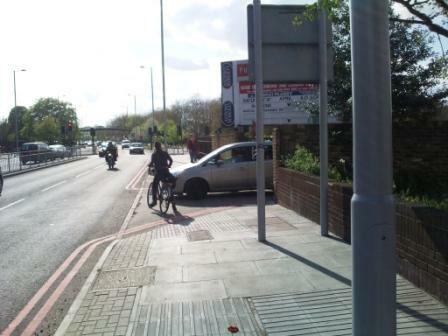 We think it’s disgraceful that people, cyclists and pedestrians, are brought to the edge of a busy road and given no help to cross by TfL: why not? What do you think? E-mail campaign@richmondlcc.co.uk Remember TfL have been invited to the next meeting of the Cycling Liaison Group on 11th July. And thanks to Caroline Pidgeon, Chair of the Transport Committee at the Greater London Assembly, for her continuing support, including repeatedly asking the Mayor of London when and what TfL is planning at the junction. 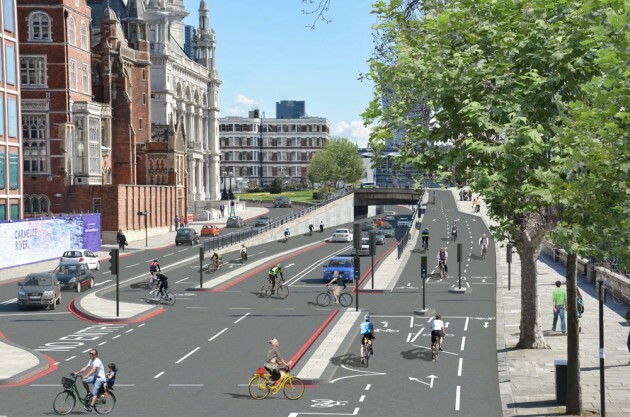 UPDATE: Getting TfL to prioritise the safety of pedestrians and cyclists is not just an issue here in Richmond, over in the City of London, Transport for London won’t release information about whether or not it included cyclists or pedestrians in the models for Blackfriars junction. Transport for London (TfL), is currently developing a proposal to improve crossing facilities on the roundabout at the junction of the A316 Chertsey Road and A310 London Road. The scheme will provide safer crossing points on the northern and southern arms of the A316 Chertsey Road / A310 London Road roundabout junction in the London Borough of Richmond and in addition will remove the current gap in the London Cycling Network route 169 which runs east / west across the roundabout. At the latest CLG Meeting in January, the council announced that they were going to produce a cycle map for the borough, which maps existing cycle infrastructure and routes. This is your opportunity to provide feedback on the draft that we were provided with. Please feed back to our Campaign’s Coordinator, Nick, at campaign@richmondlcc.co.uk, before the 11th February. If there’s a bit of your route that you feel particularly passionate about, why note provide some feedback like our previous Veloteers. There is still no movement in improving this crossing to make it safer for cyclists and pedestrians alike – with cyclists still expected to hop onto a very narrow shared use footpath, which itself is often strewn with road works. The barriers themselves are often broken, with a number of bus drivers having been caught on CCTV removing them when they haven’t opened. Local cyclist, Mathieu Davy, has shot an excellent video which illustrates the problem very well. We continue to raise this issue with the local authorities and will keep you updated of any progress. 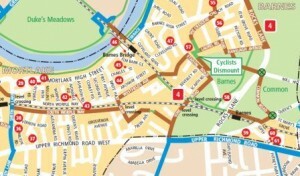 Hammersmith bridge cycle lane from Mathieu Davy on Vimeo. In addition to the review of the London Road Roundabout on the A316, we’ve also had a local cyclist carry out an audit of Hammersmith Bridge, in particular the new bus lane barriers and the diversion of cyclists onto a shared footpath, installed earlier this year. The audit also incorporates feedback from other cyclists who’ve told us about intimidation on the bridge. Hammersmith Bridge is a key transport route, being part of the London Cycle Network. 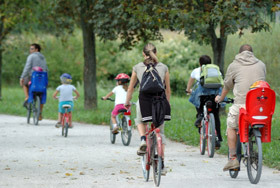 A survey in 2008 showed that in the morning peak hour, a third of the total northbound traffic were cyclists. Hammersmith and Fulham council were responsible for the recent works and the council believe the current layout is ok and no further improvement is justified. Hammersmith and Fulham Cyclists have launched a survey to obtain feedback from cyclists as to whether this is actually the case. You can fill it out by clicking on the link below, the deadline is Friday 12 November. We shall also be providing a copy of our audit as input.